The Interlogix SDX-135Z is a wireless smoke, heat and freeze sensor designed for use with 319.5 MHz wireless receivers. It allows for an interconnected network of up to 24 different 319.5 MHz smoke detectors. It also offers push-to-test capabilities. 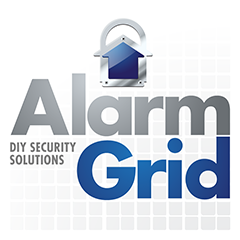 Buy the SDX-135Z from Alarm Grid. The Interlogix SDX-135Z Wireless Interconnected Photoelectric Smoke Detector with Heat and Freeze serves as a valuable life-safety sensor for a home or business. This device allows for an interconnected network of up to 24 compatible smoke detector for added reliability and dependability. As a smoke detector, the SDX-135Z relies on photoelectric technology to determine when smoke is present. When smoke enters the chamber, the internal sensor light will experience refraction. This will let the sensor know it needs to activate and alert the security system. The system can forward the alert to a central monitoring station for automatic emergency dispatch. The device also features an 85 dB temporal 3 and temporal 4 sounder and built-in status-indicating LED light. In addition to smoke detection, the SDX-135Z also offers heat detection and freeze detection functions. Heat detection is the perfect supplement to smoke detection, as it can catch fires even if the smoke does not reach the sensor. Meanwhile, freeze detection can alert users before the pipes in their home freeze and cause serious damage. The heat sensor activates at 135°F or above, while the freeze sensor activates at 41°F or below. One great feature of the SDX-135Z is the ability to create a network of up to 24 interconnected smoke detectors. With the device's dual transmitter design, interconnectivity is always reliably maintained. This occurs independently from the alarm panel in order to provide added insurance of proper function. The device has a 10-year lifespan and an internal 3V battery that cannot be replaced. At the end of its product life, the device will begin chirping to let the user know that replacement is needed. The SDX-135Z is capable of sending out 319.5 MHz wireless signals for any alarm, tamper, maintenance and low-battery condition. The 319.5 MHz signal allows the device to work with Interlogix/GE Systems and Qolsys Systems with the legacy 319.5 MHz daughtercard. The device also includes its own mounting bracket for easy setup and installation. Make sure to place your system on test mode and test the sensor after installation.